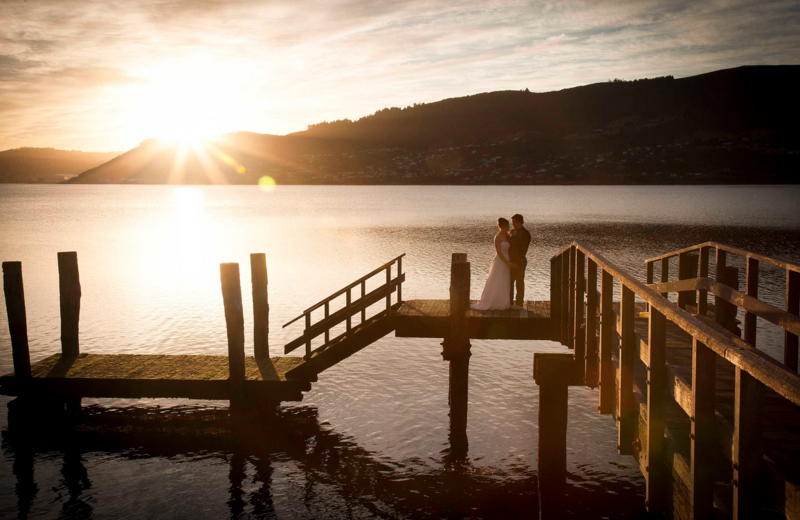 The Otago Peninsula, a mystical marriage of sea and land has made Glenfalloch an ideal Dunedin wedding venue. Beautiful Glenfalloch has a heralded place in Dunedin’s heart as a premiere setting for personal celebrations. In 2015 the chalet restaurant was given an elegant makeover to create a stylish, fresh décor to complement the lush garden locale. The woodland garden itself showcases over 140 years of botanical heritage; each season bringing its own special array of colours and fragrances to delight the senses and provide pleasure to guests. Glenfalloch has a peerless heritage providing generations of Dunedinites with superb memories of enjoyable events. 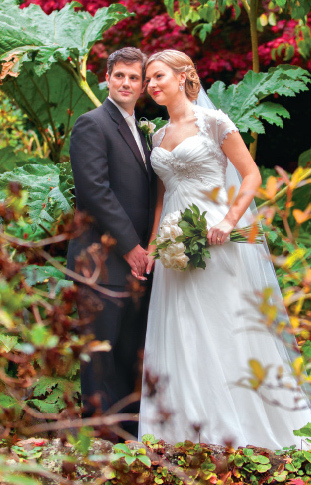 Couples choose ceremony locations amongst the profusion of flower species which integrate with native ferns, exotic imports and indigenous New Zealand trees. The Glenfalloch Bridal Collection is designed to create a superb occasion for perfect weddings. From traditional to unique, dine & dance to champagne brunch the experienced Glenfalloch team has the skill and energy to create celebrations to remember always. Any day of the week or time of the day, we can provide you with the menu to suit your taste and budget. “We had our wedding at Glenfalloch Gardens on 11th November 2016. The staff at Glenfalloch were so friendly yet professional and you could tell they had done many weddings before and knew exactly what they were doing! Somehow I even managed to throw my bouquet and knock down their light and they all just laughed it off and made sure I was okay! The planning process was easy because they all knew exactly what they were doing and having everything in one location was fantastic. The bridal lawn looked superb with all the flowers! The food for the whole day and night was incredible. Every single dish they prepared was to die for and we had compliments coming from our guests non stop through the night!! One guest even went as far to say that she has been to over 7 weddings and this was by far the best food she had ever had. Glenfalloch is a superb dining experience. The Glenfalloch Chalet Restaurant menus feature a range of dining options. Set in the beautiful lush garden, the elegant Chalet provides a wonderful setting for your celebrations. The Glenfalloch menu changes with the seasons and incorporates local fresh ingredients. Please ask us if you have any special requests, which we’ll be delighted to incorporate.